We are getting soooo close to having the hall completed. Here are a few more pictures of our progress. 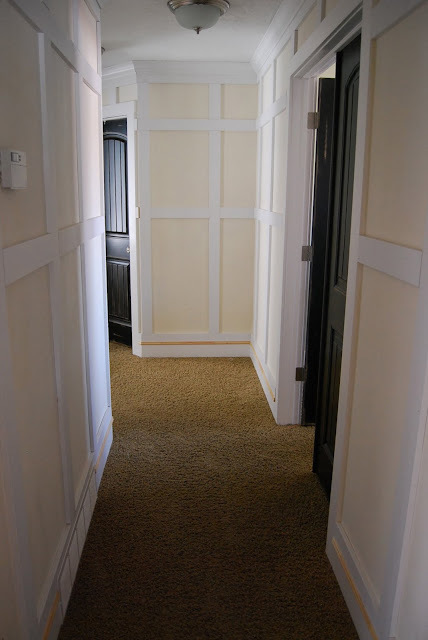 I am very much a D.I.Y kind of person when it comes to home renovations; however, when it comes to trim work I leave the painting to the experts. 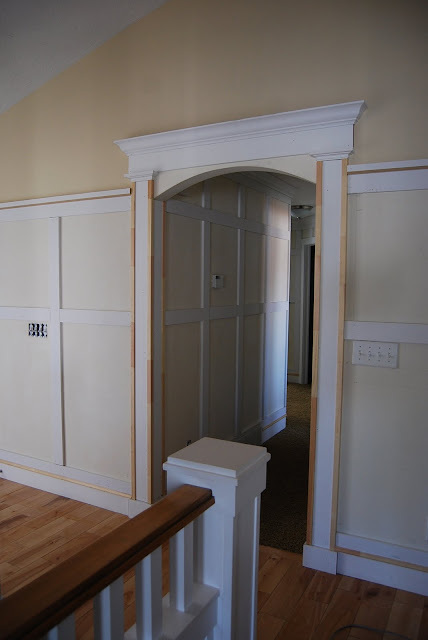 There is a HUGE difference between hand-painted trim and spray gun painted trim. I feel like the sprayed trim holds up a lot better on little fingers and everyday wear and tare. It also leaves a professional sheen that I LOVE soooo much! I can still call myself a D.I.Yer and have someone else paint right?...right??? Can't wait to have the hall painted and then post before and after pictures!! YAY!! How exciting!! I can't wait to see the finished product! I want this so badly in my house as well. You guys are doing such a great job! Hi, just found you. Your home is lovely and I am adoring the black doors. Can't wait to see more. Wow, that looks gorgeous, already!! Love it with the black doors! 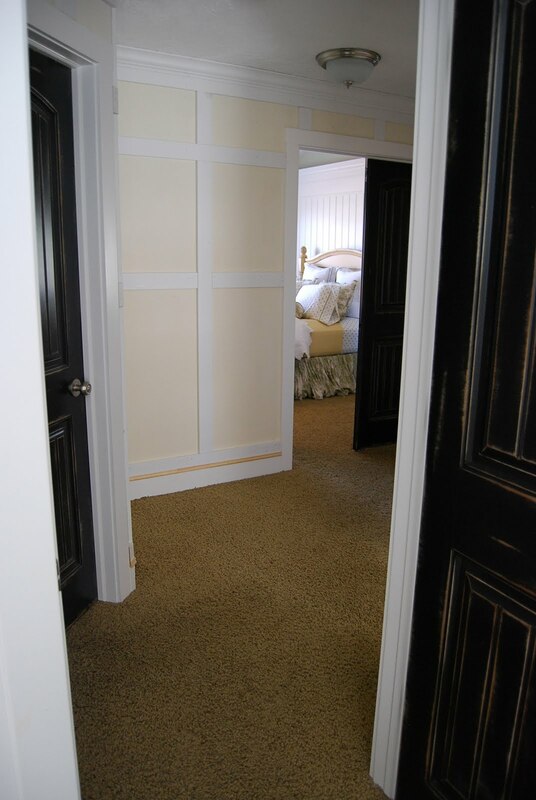 I just this same idea for the walls in this old house the september issue. You should let them know you did it first. I love your home and your ideas.